This page is designed to assist you in preparing academic items for Board of Regents approval or notification. 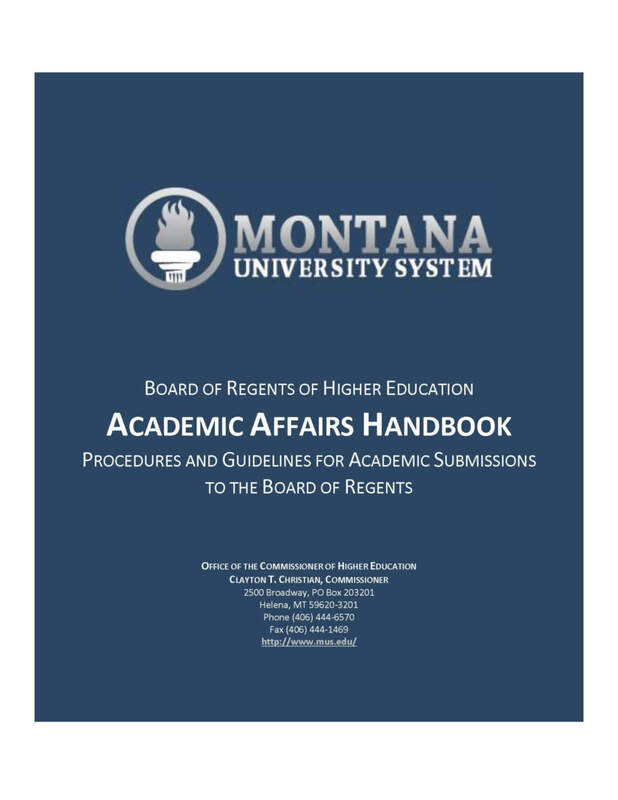 When creating, terminating, or changing an academic degree program or center/institute, be sure to begin with the Academic Affairs Handbook as it is designed to walk you through the process. 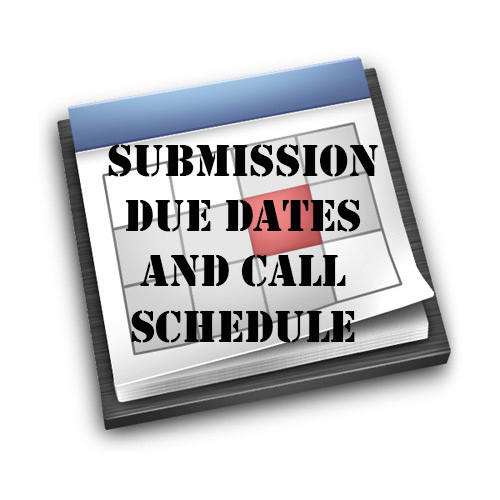 Important due dates for academic submissions and scheduled calls for CAOs and the ARSA committee of the BOR are listed in the Submission Due Dates and Call Schedule. 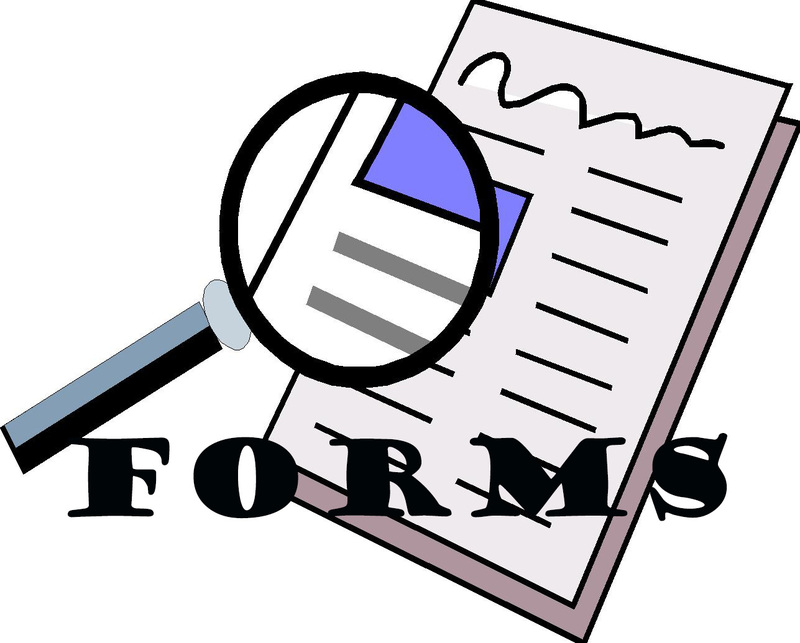 Any forms you may need for item submission are included on the Forms web page linked below. For more information on specific academic item submissions view the Level I and Level II web pages. Other resources you may find useful during the academic proposal process have been included in the menu on the left. If you have any questions regarding this process, please contact Joe Thiel, Director of Academic Policy and Research, 406-449-9134. Honorary Doctorate, Regents Professor, and Mission Statement Review/Revision items are all regular Board items that appear on the ARSA BOR agenda. Please see the BOR Agenda Handbook for more information on these types of items.